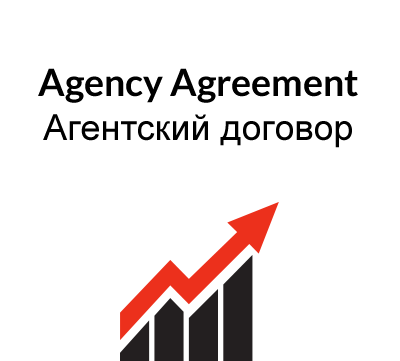 This Agency Agreement is suitable for a company that wishes to act as agent for a manufacturer or supplier on an exclusive basis in a defined territory. a general clause detailing assignment, subcontracting, notices, language, dispute resolution and governing law. This agency agreement is for international use and it is generally compatible with EU legislation. This Agency Agreement contemplates that a manufacturer or supplier of goods in one country will appoint an agent in another on an exclusive basis for the sale of those goods. 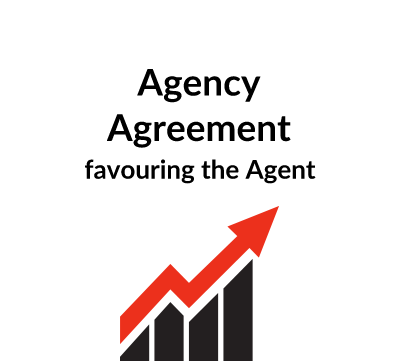 The Agreement is fairly evenly balanced, but biased in favour of the Agent. Whereas a distributor buys for re-sale, purchasing from the Principal, the role of an agent is to find buyers on behalf of the Principal and on the Principal’s terms and conditions of business. When the Agreement is being used in a cross-border situation, with the Agent and Principal in different countries, the Agent should have the text checked by a lawyer in the Principal’s jurisdiction even if the Agent wishes to use the law of his own country, i.e. the Territory, as the governing law of the Agreement. 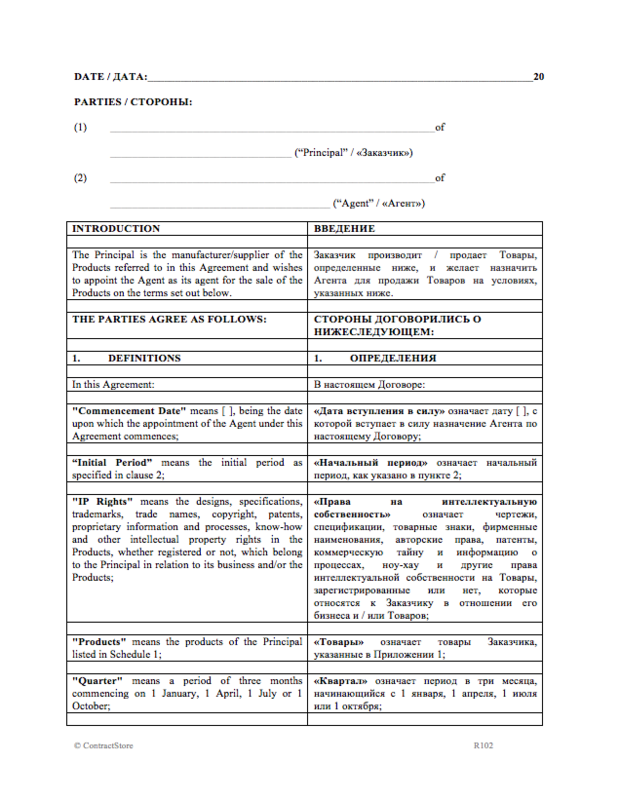 DATE AND PARTIES: – see our separate note https://www.contractstore.comsigning_contracts. In the case of the parties, the official address of each of the parties should be inserted and where a party operates under a P.O. Box Number, a physical address might also usefully be included. INTRODUCTION – this is brief and needs no comment. This contains a number of defined terms that need to be considered by the parties in the light of their own particular arrangements. Where reference is made to a defined term in the text of the Agreement, it is denoted by capital letters. Products are to be listed in a Schedule. Especially when the relationship between the parties is a new one, the Principal may not want to list all his Products but only those which he considers are likely to sell most effectively in the Agent’s Territory. It is sometimes possible for a Principal to appoint different agents for different products in the same territory. 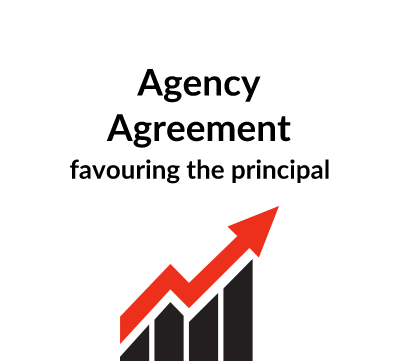 The Agent should be aware of this and may endeavour to persuade the Principal that all Products of the Principal are covered by the Agreement. If the Principal is new to the region where the Agent operates, the Agent may wish to propose that the Territory shall cover not only the Agent’s own country but also neighbouring ones. The Territory covered by the Agreement is defined by reference to a Schedule. The Territory may cover a complete country, part of a country or more than one country, but whichever the case, it is important to define it clearly. Do not, for example, refer to “any country in the Middle East”, since there may be an argument as to whether certain countries are included in the Middle East. This confirms the appointment of the Agent on an exclusive basis – i.e. the Principal by appointing this Agent will not be able to appoint another Agent for the same products in the Territory. In clause 2.2 the Agreement contemplates a fixed Initial Period of  years and after that the Agreement will roll over unless terminated. The basic principle of this clause from the Agent’s perspective is that he should be entitled to commission on all sales of the Products to customers in the Territory including Products sold elsewhere but destined for delivery to the Territory. This may be very different from the Principal’s perspective under which, for example, certain sales are sensitive and the customer wants to deal only with the Principal. In such a case the parties need to reach agreement on what, if any, commission will be payable. This contains a number of self-explanatory provisions requiring the Agent to promote the sale of the Products, undertake an advertising campaign etc. As this document is drafted from the Agent’s point of view, it is shorter than the Principal might wish for. (See document A101 for a clause favouring the Principal). Since the Agent is negotiating sales on the Principal’s behalf he is required in this clause to apply the Principal’s list prices and not to offer any discount or impose any surcharge outside agreed limits. The second alternative in clause 5.4 requires the Agent to pass orders directly to the Principal, which will be confirmed by the Principal. Payment will be made directly by the customer to the Principal, but if the Agent does receive payment, he is required in clause 5.5 to forward the payment to the Principal within 30 days. Commission is dealt with by reference to Schedule 3. Clause 5.7 deals with statements to be sent to the Principal against which the Principal will make Commission payments. Under this wording, the Principal is required to pay relatively quickly from the date of receipt of a statement, which is acceptable to him. Longer payment periods would require adjustment of the wording. Interest is payable to the Agent in the event of late payment. However the Agent should note that although it is useful to include this provision in such an agreement it will often be commercially imprudent to insist upon payment of interest where there is a continuing commercial relationship. It should be noted that interest is not payable where it is agreed that an amount disputed was in fact not due to the Agent. For the Agency to operate successfully, the Principal needs to provide regular support, including advertising material, technical data etc. as well as ensuring the price lists are kept up to date. 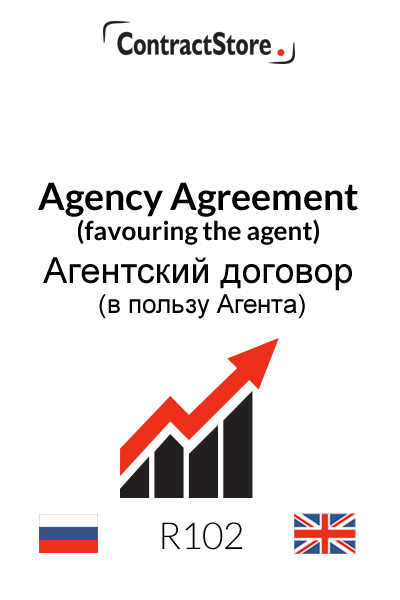 In appropriate cases where training is necessary for the Agent’s staff, 6.1.4 provides for the Principal to provide free training, and this may include the employees’ travel and accommodation costs. Sometimes the Agent will bear such costs or they might be shared on an agreed basis. The clause also obliges the Principal to confirm orders and make deliveries in accordance with those confirmations as well as maintaining product liability insurance and indemnifying the Agent against any Product defects. The Principal will usually want to protect his trademark, trade name and other intellectual property rights. The Agent is required to notify any infringement and prevented from registering any of the Principal’s trade names or other intellectual property rights. Provision for protection of the Agent’s intellectual property rights is also included. Under our clause, either party can terminate in the event of the other’s material (i.e. not trivial or insignificant) breach of contract or insolvency. Termination by the Principal may not be as easy in practice as this clause suggests and legal advice is recommended before attempting to terminate. Clause 8.3 deals with the consequences of termination and, as will be seen, outstanding sales will be honoured and the Agent will receive commission that has already been earned. Clause 8.4 contains provision for the Principal to pay compensation to the Agent unless termination is due to the material breach of contract or insolvency of the Agent. This is intended to avoid disputes as to what the level of compensation should be but, once again, advice on this clause before the Agreement is signed is important. Under EU legislation there is provision for the Principal to pay either compensatory damages or an indemnity to the Agent unless termination is due to a material default or insolvency of the Agent. It should be noted that this right to compensation/indemnity will also arise where the Agent terminates by reason of ill health/old age or by reason of the Principal’s conduct. For more details on the difference between compensation and indemnity as well as other aspects of EU law, see our free document Z163 – on Commercial Agents. Also, note that under EU law, if the Agreement is within the EU, claims for compensation or indemnity must be made within 12 months of termination. This contains a number of standard provisions designed to regulate the arrangements between the parties. 10.1 restricts either party from assigning the agreement without the other’s written consent. Clause 10.2 gives the Agent the right to appoint sub-Agents. Clause 10.3 deals with formal notices. In clause 10.6 we have suggested direct negotiation followed by mediation (if agreed) and, ultimately, arbitration in the event of disputes. For other standard clauses and for a more detailed discussion of dispute resolution, see the Free Document (Z140) on our website which can be downloaded free of charge. Finally, a reminder that you should get appropriate legal advice before using this Agreement. Настоящий Агентский Договор предполагает, что Производитель или Поставщик товаров в одной стране назначит Агента в другой стране на эксклюзивной основе для продажи этих товаров. Договор является довольно сбалансированным, но все же немного смещен в пользу Агента. Если дистрибьютор покупает для перепродажи товары у Заказчика, роль Агента состоит в том, чтобы найти покупателей от имени Принципала и на его условиях. Если Договор имеет трансграничный характер, т.е. когда Агент и Заказчик находятся в разных странах, то для Агента рекомендуется осуществить дополнительную юридическую проверку текста Договора с точки зрения юрисдикции Заказчика, даже если Агент хочет использовать законодательство своей собственной страны, т.е. Территории, в качестве приоритетного. ДАТА И СТОРОНЫ: – Смотрите наши отдельные примечания на: https://www.contractstore.comsigning-contracts-russia Что касается указания сторон, то должен быть указан официальный адрес каждой из них, а если сторона использует абонентский ящик, то было бы полезно указать и её физический адрес. ВВЕДЕНИЕ – краткая вводная часть, в комментариях не нуждается. Раздел содержит ряд определенных терминов, которые должны рассматриваться сторонами в свете их собственных конкретных договоренностей. При ссылке на определенный термин в тексте Договора, он выделяется заглавными буквами. Товары должны быть указаны в Приложении. Заказчик может не захотеть перечислять все свои Товары, а только те, которые, по его мнению, будут наиболее эффективно продаваться на Территории Агента. Особенно это может быть разумно, если стороны только начинают выстраивать свои взаимоотношения. Возможно, Заказчик назначит разных Агентов для продажи разных Товаров на одной и той же Территории. Агент должен знать об этом, и, возможно, может стремиться убедить Заказчика, чтобы все Товары Заказчика подпадали под действие Договора. Если для Заказчика регион, где работает Агент, является новым, Агент может захотеть предложить Заказчику, чтобы Территория охватывала не только собственную страну Агента, но и соседние страны. Территория действия Договора определяется в специальном Приложении. Территория может покрывать всю страну, часть страны или более чем одну страну, но в любом случае важно определить её четко. Не используйте, например, термин «какая-либо страна на Ближнем Востоке», так как может возникнуть спор, относится ли та или иная страна к Ближнему Востоку. В этой статье подтверждается назначение Агента на эксклюзивной основе – т.е. Заказчик, назначив этого Агента, не сможет назначить другого Агента для тех же Товаров на аналогичной Территории. Пунктом 2.2 Договора предусматривается Начальный период в  года, после чего Договор подлежит продлению до момента его расторжения. Основным принципом этой статьи с точки зрения Агента является то, что он должен иметь право на комиссионное вознаграждение (комиссию) с продаж Товаров клиентам на Территории, в том числе с Товаров, проданные в других местах, но предназначенных для доставки на Территорию. Это может отличаться от точки зрения Заказчика в соответствии с которой, например, в отношении некоторых продаж по каким-либо причинам покупатель захочет иметь дело только с Заказчиком. В такой ситуации Стороны должны прийти к соглашению о том, будет ли в таком случае выплачиваться комиссия. Этот раздел включает в себя ряд очевидных положений, согласно которым от Агента требуется продвижение продаж Товаров, проведение рекламных кампаний и т.д. Поскольку этот Договор составлен с точки зрения Агента, перечень обязательств Агента может быть меньше, чем может требовать Заказчик (См. документ A101 с пунктами в пользу Заказчика). Поскольку Агент ведет переговоры о продажах от имени Заказчика, в данном пункте прописывается его обязательство применять цены, указанные в прейскуранте Заказчика, а также не предлагать какие – либо скидки или осуществлять надбавку за пределами согласованных лимитов. Вторая альтернатива пункта 5.4 требует от Агента направлять заказы непосредственно Заказчику для его утверждения. Оплата будет производиться клиентом непосредственно Заказчику, а в случае, если такую оплату по каким-либо причинам получит Агент, то, согласно пункту 5.5, он будет обязан осуществить перевод такой оплаты Заказчику в течение 30 дней. Порядок выплаты комиссии определяется в Приложении 3. В пункте 5.7 речь идет об отчетах, направляемых Заказчику, на основании которых Заказчик будет осуществлять выплату комиссии. Заказчик обязан произвести выплату в кратчайший срок с момента получения отчета, приемлемого для него. Если Вам будет необходимо установить более длительные периоды оплаты, формулировки данного пункта необходимо будет скорректировать. В случае просрочки платежа Агенту могут выплачиваться проценты. Однако Агенту следует иметь в виду, что, несмотря на то, что наличие положения о выплате процентов может быть полезно, настаивать на их выплате в действительности может быть нецелесообразно. Следует также отметить, что проценты не подлежат выплате, если будет установлено, что спорная сумма на самом деле не подлежала оплате Агенту. Для успешного исполнения Агентского договора Заказчику необходимо оказывать Агенту регулярную поддержку, в том числе, рекламными материалами, техническими данными и т.д., а также обеспечивать Агента актуальным прейскурантом. В случаях, когда необходимо обучение сотрудников Агента, статья 6.1.4 обязывает Заказчика обеспечить бесплатное обучение, которое может включать в себя расходы на проезд и проживание сотрудников. Иногда Агент несёт такие расходы, иногда они могут быть разделены по согласованию между Заказчиком и Агентом. Данная статья также обязывает Заказчика подтверждать заказы и осуществлять поставки в соответствии с такими подтверждениями, а также поддерживать в силе страхование ответственности за качество Товаров и освобождать Агента от ответственности за любые дефекты Товаров. Заказчик, как правило, хочет защитить свой товарный знак, фирменное наименование и другие права интеллектуальной собственности. Агент обязан уведомлять о любом нарушении и предотвращать регистрацию любого товарного знака или других прав интеллектуальной собственности Заказчика. В данной статье также включено положение о защите прав интеллектуальной собственности Агента. Согласно формулировкам, любая сторона может прекратить Договор в случае существенного (т.е. исключая мелкие или незначительные) нарушения или в случае несостоятельности другой Стороны. Прекращение Договора Заказчиком на практике не всегда является таким простым, как это предусматривается в данной статье, поэтому до начала такой процедуры рекомендуется получение дополнительной юридической консультации. Статья 8.3 регулирует вопросы, связанные с последствиями прекращения Договора, в том числе, с выполнением продаж непроданных товаров, и получением Агентом заработанной комиссии. Статья 8.4 содержит положение, которое обязывает Заказчика выплатить компенсацию Агенту, если прекращение Договора не связано с существенным нарушением Договора Агентом или неплатежеспособностью Агента. Эта статья позволит избежать споров относительно того, какой размер компенсации подлежит выплате, однако, для уточнения практической возможности применения данной статьи в каждом конкретном случае может потребоваться дополнительная консультация. В соответствии с законодательством ЕС существует положение, которое обязывает Заказчика возместить убытки, либо выплатить компенсацию, если прекращение Договора не связано с существенным нарушением Договора Агентом или неплатежеспособностью Агента. Следует отметить, что право на компенсацию / возмещение убытков будет также применяться, если Агент прекращает Договор по причине своего плохого здоровья / старости (возраста) или по причине недобросовестного поведения Заказчика. Для более подробной информации о разнице между компенсацией и возмещением убытков, а также о других аспектах законодательства ЕС, смотрите наш бесплатный документ Z163 – О Коммерческих Агентах. Обратите внимание, что в соответствии с законодательством ЕС, если Договор исполняется на территории ЕС, требования о компенсации или возмещении убытков должны быть заявлены в течение 12 месяцев после прекращения Договора. Данная статья необходима для того, чтобы после прекращения Договора ограничить возможности Заказчика по конкуренции с бизнесом Агента путем назначения другого Агента на Территории, но только если прекращение Договора не явилось следствием существенного нарушения Договора Агентом или результатом неплатежеспособности Агента. (В документе A101 такое ограничение накладывается на Агента). В этой статье содержится ряд стандартных положений для урегулирования договоренностей между сторонами. Статья 10.1 ограничивает любую сторону от уступки Договора без письменного согласия другой стороны. Статья 10.2 дает Агенту право назначать субагентов. Статья 10.3 регулирует порядок официальных уведомлений. В случае возникновения споров согласно статье 10.6 предлагается провести прямые переговоры с последующей медиацией (если будет согласованию) и, в конечном счете, рассмотрению в арбитраже. Что касается других стандартных статей и более детальных комментариев по разрешению споров, смотрите бесплатный документ (Z140) на нашем сайте. В заключение напоминаем, что Вам может быть необходимо получить соответствующую юридическую консультацию перед использованием данного Договора.